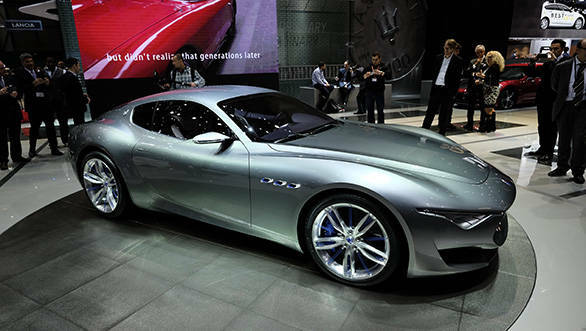 The Alfieri 2+2 concept car heralds the new design language for future Maseratis. It is a reminder to all who forgot that Maserati was first a GT car builder than premium sports sedans that we now know them for. The Maserati Alfieri has a low long nose with a vertically divided grille and LED DRLs in the headlamp. The front wheels are 20-inch while the rear is 21-inch. The dashboard has a clean, organic, two-tone design built around a central TFT screen. Humble beginnings indeed for Audi's CLA45 AMG challenger. 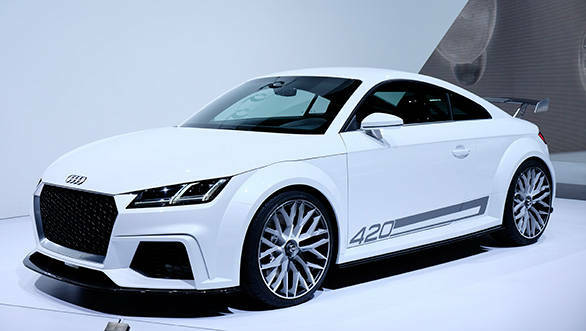 Modelled on the Audi TT sportscar, the new TT Quattro Sport Concept looks every bit affable. Power is derived from a 2.0-litre turbocharged TFSI motor which by the way makes 420PS. If this were to make it to production, then the CLA's 4-pot engine will have to take second place for being the world's most powerful 4-cylinder engine. 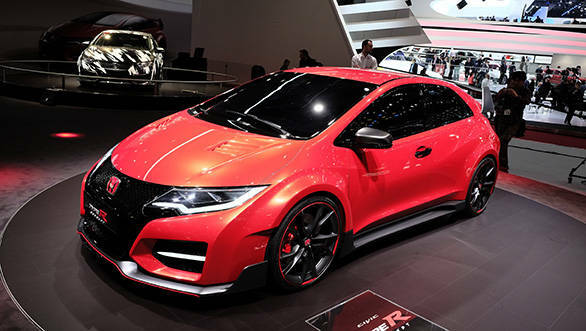 Slated for a debut in 2015, the Type R concept is not just gorgeous but the rightful successor to the legendary Civic. The large grille with the H-Design is more into the family look that we have seen with newer Hondas. Bigger news is about Honda moving to turbocharged petrol engines with the Civic Type R being the first car in the range to get a 280PS 2.0-litre 4-cylinder turbo petrol motor. Stretching at more than 10-inches longer than your regular Cooper, the Clubman concept promises a mix of practicality plus the cool factor. 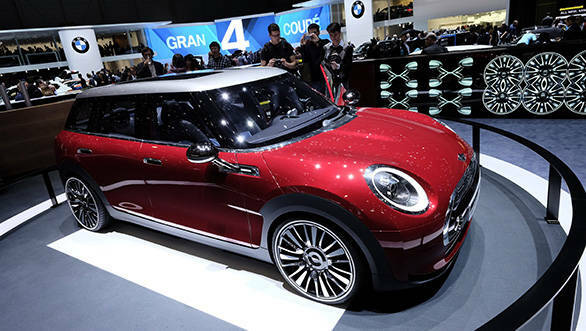 It is also 7-inches wider than the Cooper. And yes, four doors or rather six as Mini will like to point out. 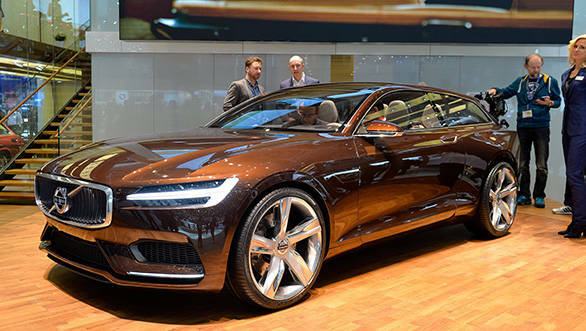 Volvo's Concept Estate previews the styling that we will see on future cars from the Swedish manufacturer. The new infotainment system also will find its way to other Volvos. Its novelty is that it doesn't need switches or buttons and instead uses a touchscreen to handle everything. 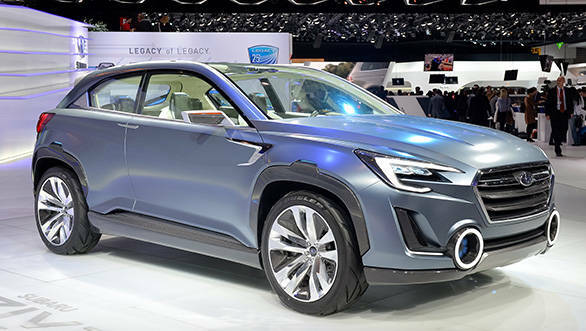 Subaru's four-seater two-door coupe broke cover at Geneva. The Viziv 2 is 4.4 metres long and is powered by a 1.6-litre turbo diesel and three electric motors.The transmission is a CVT unit. 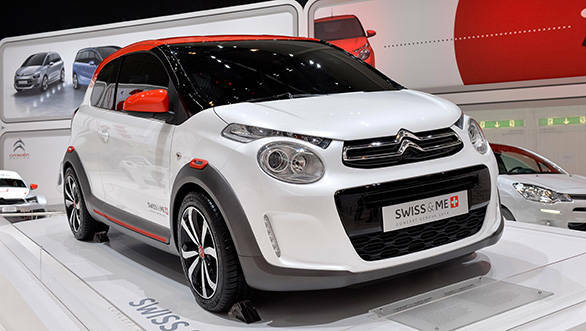 The new Citroen C1 was showcased with three and five door versions, with an open-top Airscape body style. It measures just 3.6m and is nimble and compact for city use. 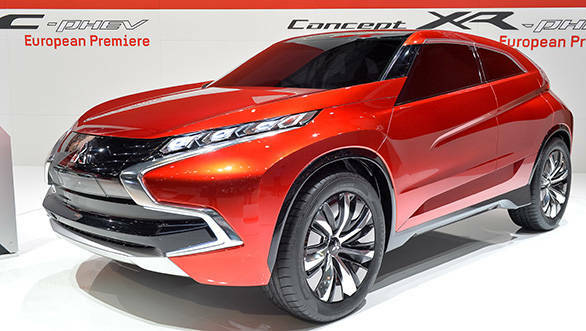 Mitsubishi showcased three SUV concepts, all of which were hybrids. Mitsubishi intends to put these into production in the near future. 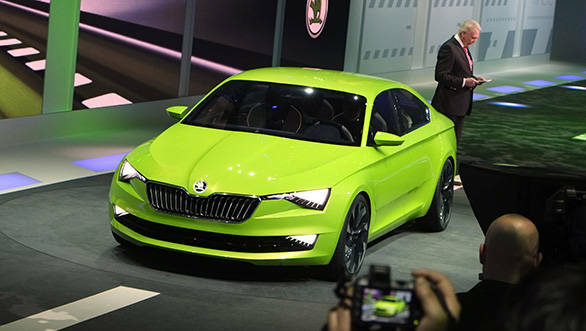 Skoda showed its future design language in the form of the new Vision C concept. This is also Skoda'a first coupe model with close to production drive tech and also a drag coefficient of 0.26. Powering the car is a 1.4TSI heart which runs on both petrol and CNG. Skoda claims the car will hit a max speed of 214kmph. Hyundai's vision of how cars will be in the future is what the Intrado concept signifies. The company essentially wants to have cars which drive better, are light in weight and at the strong time strong enough. 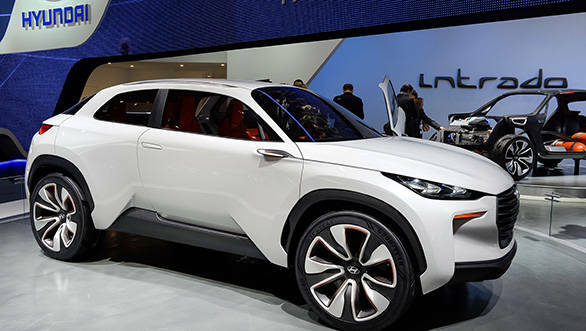 It is powered by a 36kW Li-ion battery which promises great fuel efficiency. 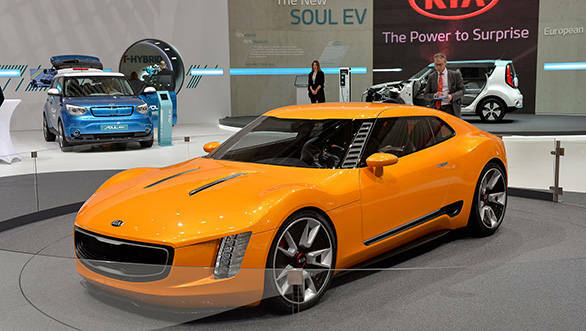 Kia again showed off the GT4 Stinger concept. 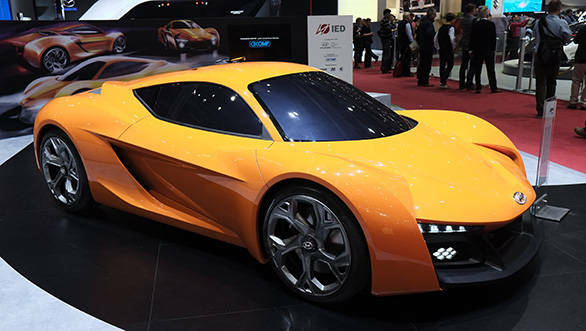 The 315PS turbocharged engine is Kia's first sportscar and comes mated to a 6-speed manual transmission. The rear-wheel drive car comes in 2+2 seating configuration. The IED designed two-seater Passo Corto concept rides on a short wheelbase. It uses a twin-turbo 1.6-litre four-cylinder engine making 270PS of power. Veedub came up again with a new SUV concept. The T-ROC is based on the modular transverse matrix platform with an eye towards the production floors. 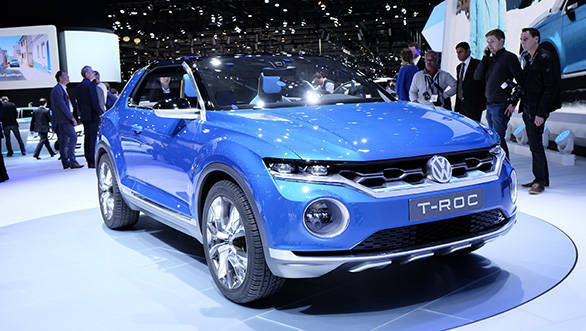 Powering the T-ROC is a 182PS 2.0-litre diesel engine and 7-speed dual clutch transmission. This is a sure shot production form of next-gen Honda vehicles. 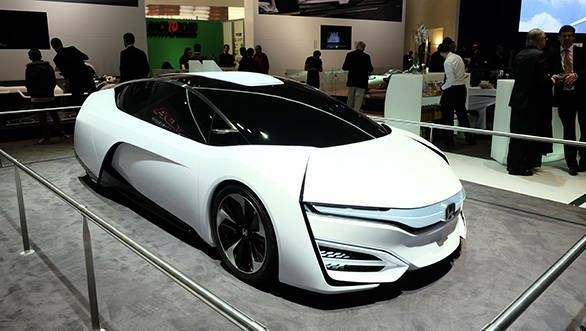 The FCEV will be on roads next year and it is powered by Honda's next-generation fuel cell.